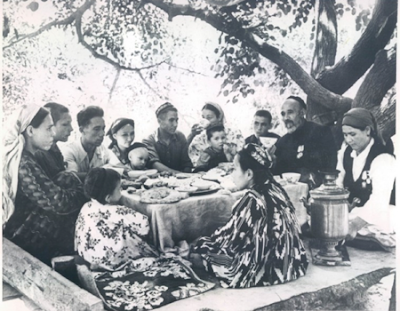 Tashkent has long had the reputation as a refuge for foreigners: food was more available and the generosity of the city's residents was legendary. During the famine of 1920-1921, writer and teacher Alexander Neverov, made a harrowing journey from the Volga region to Tashkent to obtain food for his family. This journey became the inspiration of his novel City of Bread, which is considered a classic of early Soviet literature. In the summer and autumn of 1941, as German armies advanced with alarming speed across the Soviet Union, the Soviet leadership embarked on a desperate attempt to safeguard its industrial and human resources. Soviet authorities transported people and industry away from the western war fronts into the relative safety of their eastern lands. The Urals, Siberia, the Middle Volga, Uzbekistan, Tajikistan and Kazakhstan together received 16 million evacuees, with Tashkent a favoured destination. It remains the largest organised movement of a civilian population in history. 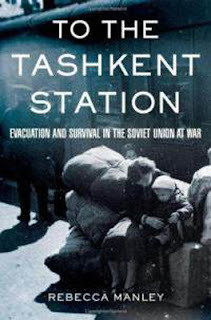 Rebecca Manley's book To The Tashkent Station brilliantly reconstructs the evacuation of Soviet civilians in one of the most dramatic episodes of World War II. Manley paints a vivid picture of this epic wartime saga: the chaos that erupted in towns large and small as German troops approached, the overcrowded trains that trundled eastward, and the desperate search for sustenance and shelter in Tashkent. Sophia Abidor, originally from Odessa recalls: "In spring 1942 my husband's parents, Golda and her family, my mother, my sister and I moved to Tashkent, Uzbekistan. Evacuated people were accommodated in the houses of local people, Uzbeks. They were waiting for trains at railway stations. An Uzbek woman took us to her home. They had a big yard and a house divided into two parts: one for men and one for women. My mother, my sister, my son and I were accommodated in a room in the women's part of the house. I became a 3rd-year student at Tashkent Medical University. My sister passed the entrance exams to Tashkent Credit Economy College and was admitted to the Faculty of Industrial Economy. My mother went to work as a laborer at a tank plant. I had classes in the morning, and my sister started at 3 in the afternoon. We took turns looking after the child. In the evening our mother looked after the boy, and we could do our homework". Among the evacuees were the intellectual and artistic elite: doctors, scientists, economists, playwrights, poets, actors, film directors, and composers were evacuated, often in their professional guilds, along with their supporting infrastructure. Moscow's State Jewish Theatre and its Theatre of Revolution relocated to Tashkent, as did the Leningrad Conservatory and Kiev's Polytechnic. 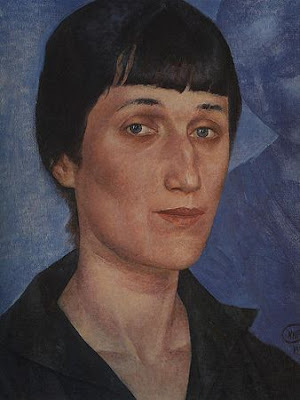 In 1943 the great Russian poet, Anna Akhmatova, finished the first draft of her masterpiece Poem Without a Hero in Tashkent at the Hostel for Moscow Writers at 7 Karl Marx Street. Alexei Tolstoi continued work on his play Ivan the Terrible there. Mikhail Bulgakov's widow and literary executor Yelena Sergeyevna fled to Tashkent in 1942 with the manuscript of The Master and Margarita and hid it there. Published only in 1966, the novel is a critique of Soviet society and its literary establishment. 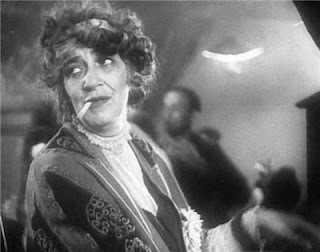 The celebrated Soviet actress Faina Ranevskaya, Leonid Nikolayev (Shostakovich's teacher at the Leningrad Conservatory) and Belarussian poet Jakob Kolas were also part of this massive evacuation. (As an aside: Igor Savitsky, founder of the Savitsky collection in Nukus, was evacuated along with the entire faculty and staff of Moscow’s Surikov Institute to Samarkand in 1942). Of course there were many hardships: Uzbeks were forced to share their dwellings, prices in the bazaars rose and the influx of people put enormous strain on the city's resources. There were inevitable tensions. Some evacuees were homeless. Over 30,000 children were evacuated to Tashkent without their parents, many of whom were or became orphaned. Famously, an Uzbek blacksmith, Shaahmed Shamakhmudov adopted 15 orphaned children from the USSR's western republics. Many other Uzbeks adopted children during those years. Australia's ABC Hindsight radio program aired an excellent feature The Tashkent Ark in 2012. Historians and those who were evacuated as children to Tashkent, and who are now resident in Australia, speak of their experiences. Download the audio file (right mouse click and then 'save link as' to your desktop, so you can keep the program: I am not sure how long it will be available from the ABC). Post-war, the tradition continued as Tashkent accepted over 11,000 political refugees following the Greek Civil War of 1946 - 1949. In March 1953 after the expiry of Alexander Solzhenitsyn's sentence, he was sent to internal exile for life at Kok-Terek in the northeastern region of Kazakhstan. His undiagnosed cancer spread until, by the end of the year, he was close to death. However, in 1954, he was permitted to be treated in a hospital in Tashkent, where his tumour went into remission. 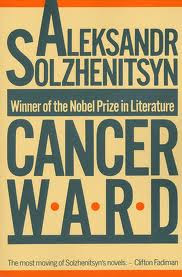 His experiences there became the basis of his novel Cancer Ward and also found an echo in the short story The Right Hand. Following the devastating Tashkent earthquake of 1966, which destroyed most of the old city and made over 300,000 residents homeless, again the people of Tashkent opened their homes to fellow citizens. As visitors to the city today, you will also be struck by the warmth and respect that ordinary Tashkent people demonstrate. They are heirs to a grand tradition.